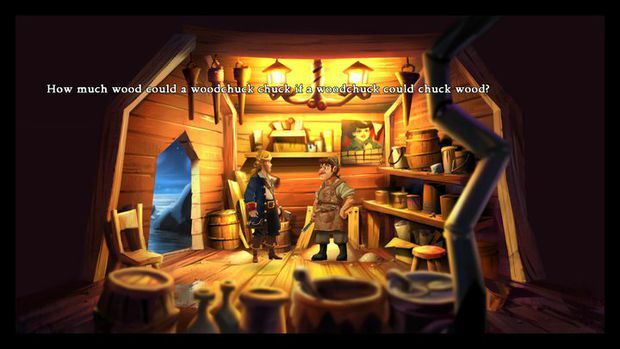 LucasArts has started a stream of screens of Monkey Island 2: LeChuck's Revenge Special Edition. Every day, via the Monkey Island Adventures Facebook page they're going to give us one still from the original game and then, later, the updated version. They're starting with environments, so you should pay particular attention to the background there, I guess. Me? I'm looking at Guybrush's hair, which looks a whole lot better now. Huge improvement really. We'll keep our eyes peeled for more of these as they come along. For now, hop down to the gallery for a closer look and to compare it with the original scene's design. Would you say they're doing a pirate-y enough job?